This style has been discontinued. so colors are limited to available stock. This perfectly retro designed wig with its long gentle waves is ready for lift off. You will be sure to turn heads as you race down the fast lane, inspiring those around you to let their inner wild child loose. The Retro Hot wig is just what the doctor ordered. If you're looking for a night of fun, now it can be as easy as donning this look and applying a little lipstick. Be sure to notice all admiring glances in your direction. This is the second wig I have bought from wigs-us. This is also the second Forever Young wig I have bought. I am very happy with the service from the company. I really like Forever Young wigs. I love the style of this wig and the quality. I got it in the color 24B/613. It is a beautiful color. I would recommend this wig. I am very happy with it. Hot is an understatement! This wig is awesome! If they ever get my picture up on here, you can judge for yourself. 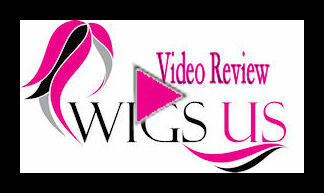 I now own 5 wigs from this company and I am thrilled with every one! I love changing my looks and all my friends at College freakout! They all are amazed! I don't think I will ever stop buying from US-Wigs. Customer service treats me right! I think I am going to purchase another one this week. I am so addicted! I wore this wig to my college and everyone raved over it! It is awesome and I just LOVE IT! Talk about the talk of the town, that would be me! I now own two Forever Young wigs. Retro Hot and Runway! I am wearing Runway today and all my friends can't wait to see me. I post my pictures on Facebook and get more compliments than I can count! Wigs are the "In thing" so, don't be afraid to be brave and wear one! No one will know it is not your real hair...only your friends and trust me your in! This wigs is cute and the color HL-350 looks quite nice on people light colored eyes that have skin with warm undertones.